In addition to pharmaceuticals, Blessings International offers various types of test kits. We have the test kits your team needs to accurately diagnose the needs of your patients. 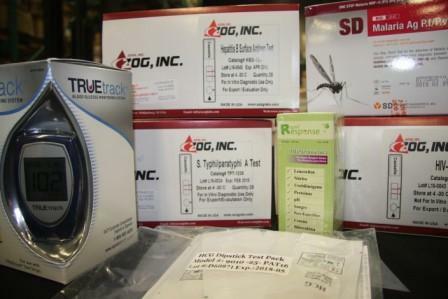 The kits we carry can determine if a patient has malaria, typhoid, hepatitis B, HIV, diabetes, and many additional conditions. For more information on the test kits Blessings has available, visit our order page.